Everyday we are so happy to do what it is we do. Farm life for us isn’t just a job but it’s our identity and our way of life. Growing takes a lot of patience and time, sometimes a little luck, and a deep understanding of the land and the crops. It’s not meant to be completely cerebral but a combination of established practice, research, and accountability. It some ways, it’s much like raising children and sometimes we see our kids walking through the crops, amazed at how fast they’ve grown, how quickly they adapt, and how much more they know than we can account for. Our family farm is just that, a family farm. And it sounds simple and looks simple in words but honestly it couldn’t be any simpler. We would never feed our family something that we wouldn’t sell and we treat our crops and animals with the same careful persistence as our kids. We like to share news, pictures, and crop reports with everyone because if you shop with us it’s like your part of the family too. Our ties to the community can only feel stronger when we are recognized at one of the markets we attend! Rochester is an awesome city with a great group of people living in it. The Rochester Public Market is one of the most amazing places we’ve ever been and studies have shown that its one of the most multi-cultural meeting places in the northeast. Up there with Chicago city markets and New York city! We couldn’t be happier to be at any of the markets we attend. 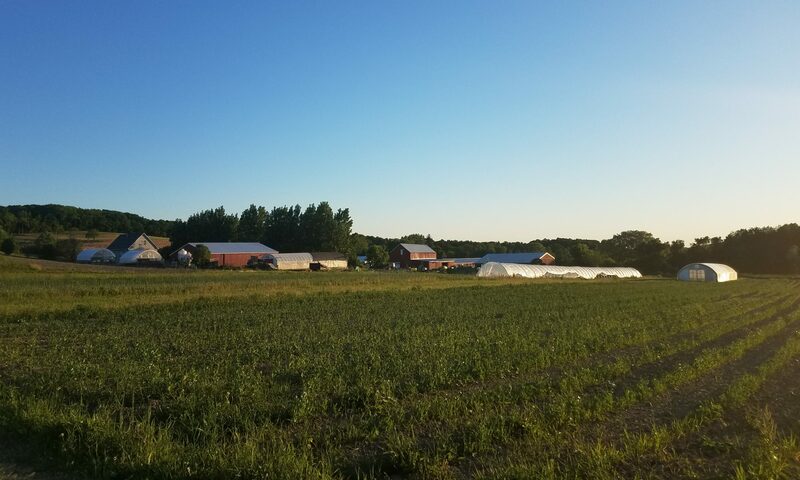 And we also have on farm pickup on Wednesday’s from 4:30pm to 6:30pm. So stop on by! We’re easy to find and we’d love to have you. Here’s a recent gallery of pictures from the farm!